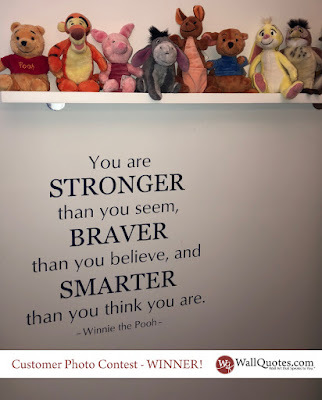 That shelf with all the Winnie the Pooh characters (swoon!!) paired with that amazing quote is just perfection! I just love how Julie paired all the items to create such a special place in her home.